Chimamanda Ngozi Adichie talked about her latest book, Americanah in the Guardian at the weekend. Americanah is "...the story of two Nigerian émigrés who love and lose each other across continents and years... It is a book about hair: straight versus afro; and discreet tensions, not just between white Americans and Nigerian immigrants, but between Africans and African Americans, between the light- and dark-skinned, between new and established immigrants, and its frankness – in particular on the subject of gender – has upset some people. "I knew that was coming," says Adichie. "I can't write a book like that and then go, 'Oh my God, they're upset.' But my intention wasn't to upset." She smiles. "It's just that I'm willing to if that's what it takes to write the book." I like the fact that Adichie is very direct. She's direct about race, about skin colour, about the USA. She talks about her main character Ifemulu arriving in America and not being angry enough because she is African rather than African-American. 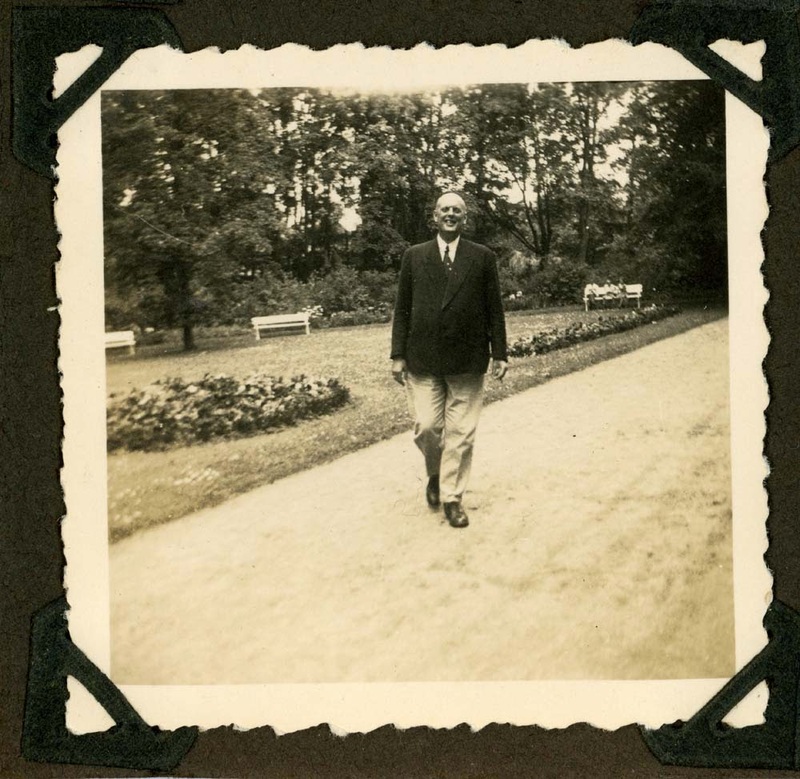 ; "I only became black when I came to America." She also talks about Nigerian arrogance which was nice. I used to live in a house with a Nigerian who was a bit messy and used to say things like, "In my country you would be my servant and you would be washing my dishes," which always used to amuse both of us. 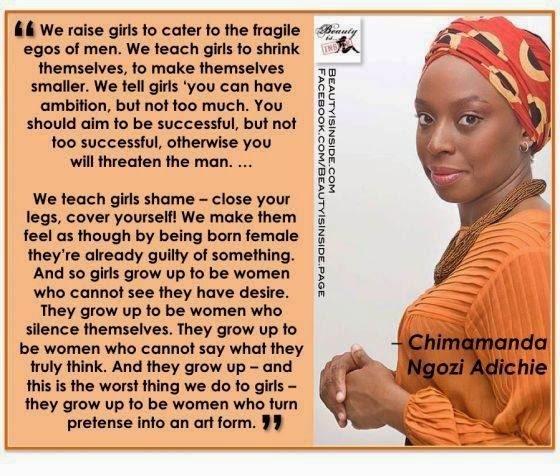 Adichie also tooks about gender and the criticism she received for having a strong woman who has a will of her own. That's where the motivational picture at the top kicks in. I showed it my daughter the other day and she asked what the last part means, the part about the "art of pretence". I told her and she instantly recognised what Adichie meant. And that's why she's so good. Because she's direct and she says what is obvious to her, but at the same time recognising the business she's in. Americanah, she says, is ultimately a love story, because that is what stories are all about; love. Why complicate things when they don't need complicating. And I think that is true of all great writers. They tell universal stories using universal themes. Love's the big one. And isn't it the same in photography. Aren't there universal themes that great photographers touch on. Themes or elements perhaps. Emotion, the face, the body, the facade and the sublime. Isn't that what it all boils down to? But not love. Not even on the Left Bank. There's no love in photography. Funny that. The Spook Light. It's Spooky but is it Real? I love the idea of the Spook Light. 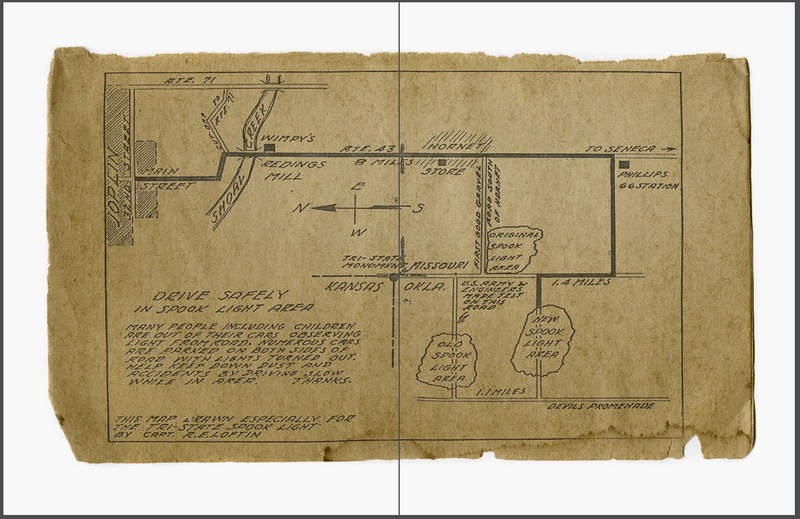 It's a great name for a light that mysteriously appears '...on a remote road deep in the Ozark Hills." Spook Light Chronicles vol. 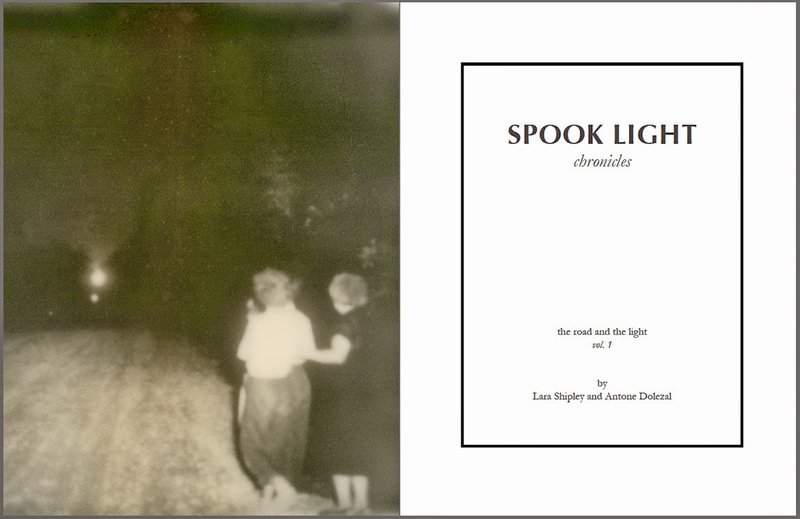 1 - the road and the light is an artist's book by Antone Dolezal and Lara Shipley that examines the strange phenomenon of the Spook Light. 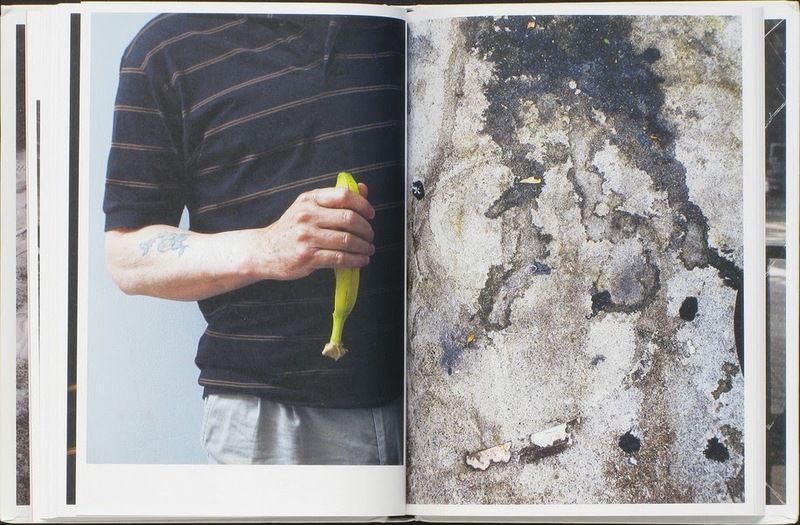 The book is a mix of found, appropriated and real-life-we-photographed-this pictures. These are mixed with text that takes us somewhere into the hearts and minds of Spook Light Country. Here's the place. They have an old map and that makes it Real! And because it's real, it's even scarier. They factor into the book, because for Dolezal and Shipley "...the Spook Light has come to represent for the people we meet a desire for redemption and the fear of slipping into darkness." 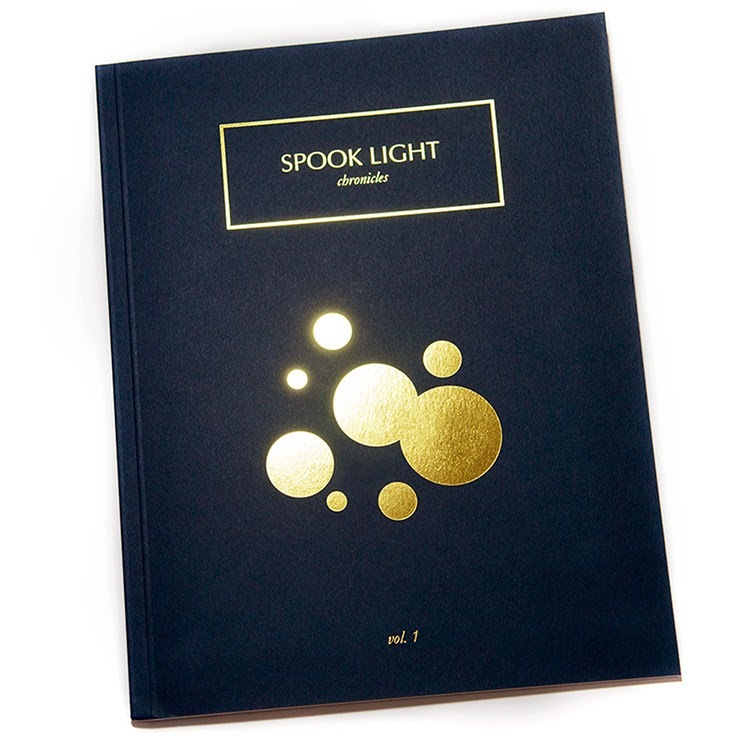 The Spook Light "...provides a reprieve from ordinary life." So Dolezal and Shipley are cranking it up, and with a name like The Spook Light, what's not to crank. The first question on my lips is "Is it real?" I really want to know this and like to believe that it is real. And Dolezal and Shipley pointing me in that direction with pictures like the one below. That has to be real. One picture titled the boys that scared me, shows a young man standing bare-chested in the roadway.He has got two star tatoos on his chest and his hands are bunched into fists. 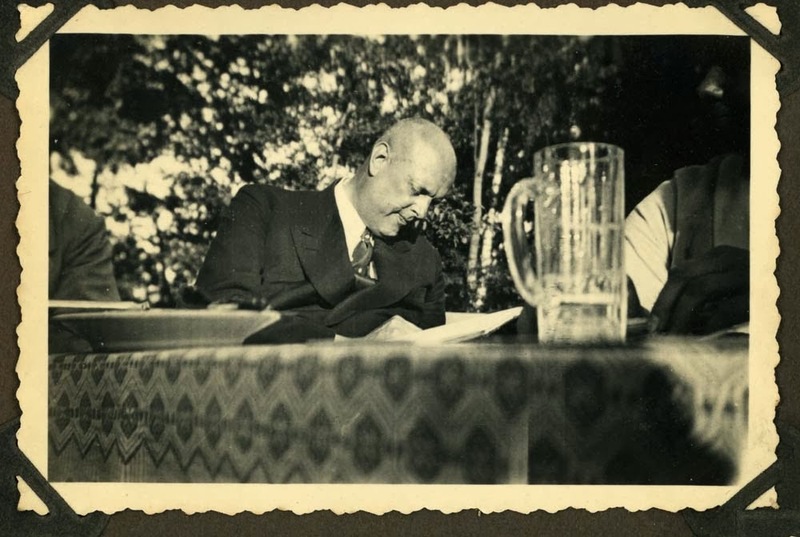 He has a kind of smile on his face, but it's not a very nice smile and the man in the background has a near empty bottle of Jack Daniels in his hand. There is tension in the air. I was kind of thinking what if the spook light were to come right here and collide with me and take my soul with it. And you guys would just have to leave me here, because I'd be a soulless man, just wandering down the road. There are more references to lost souls, the afterlife and it adds to the threat. The Spook Light is not benign. This is a book for suggestible people by, I'm hoping, suggestible artists. I know that if I was on the Devil's Promenade, more than a little bit of me would believe. No, let's be honest. All of me would believe. I'd be petrified with all that spookiness going on. 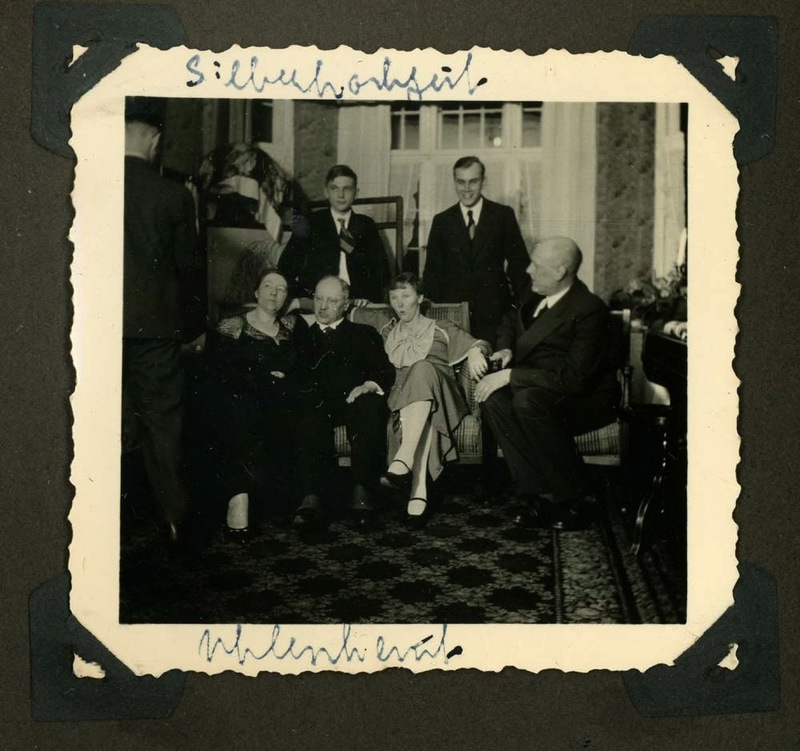 The found photographs build on this suggestibility and really make me believe. If it's old it must be true. The contemporary pictures of flashes of light add to this sense of threat while the lit landscapes add an alien element to the mental picture. There are two more volumes to come in the series (the first is sold out). Hopefully by the end, I'll have the answer to my question. Is it Real? Some stories you should have told me. Tony Fouhse sent me the latest book from his Straylight Press, one of the most interesting of the new photobook publishers. For some reason Straylight feels a bit realler than most. The book's called Same Old Story and features Fouhse's pictures together with a story by his partner, Cindy Deachman. The story is a contemporary stream-of-consciousness of love found and lost. It's a dreamscape filled with tension and anxiety. Nothing settles, nothing is as it seems, life is a constant race to and from shifting threats and possibilities. Life is immediate with a focus that shifts depending on what dreamscape you're in; the multi-roomed house, the chase, the anxiety sequence. 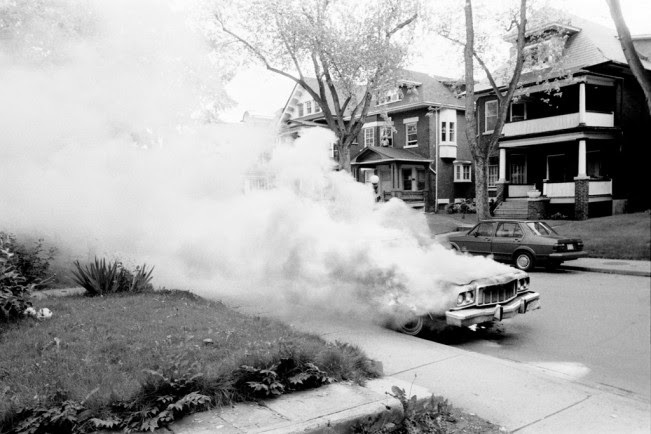 Loosely tied to the story are Fouhse's pictures from Toronto in the early 1980s (and this link will tell you how the pictures were connected to the story). This is old Toronto when it still had empty warehouses and a decrepit waterfront that, though decripit, wasn't devastated by identikit condos. That Toronto was staid and conservative on the surface, but scratch a little and you get beneath the skin. And that's what Fouhse's pictures show. They are offbeat and energised of people looking a little awkward in their skin. Maybe that's because most everybody in Toronto is a little awkward in their skin, either because they are trying so damn hard to make sense of matching the contradictions of living in such a brutally corporate/conformist city or because they see all these other people trying to make sense of matching those contradictions. But I guess that goes for any city with an essentially corporate soul. Or any city. So the pictures? They are a funny look back at a time when the cracks in the facade were broader. A guy passed out at some outdoor event as a cadet of some sort salutes in front of him, a dog roaming a snowy street (remember when dogs used to roam free in places like Toronto), a racoon and bear. There's Miss Universe, a smoking car and a man in a suit walking along a downtown street. His hair is blown out and in the background there's a man standing against a granite wall with his hand on his head. 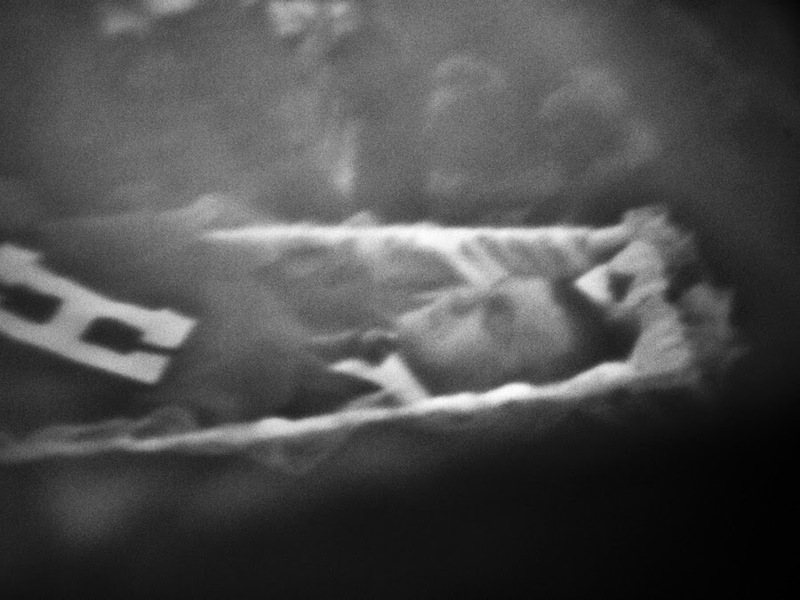 One picture shows a man lying on a bed with bandages over his eyes. 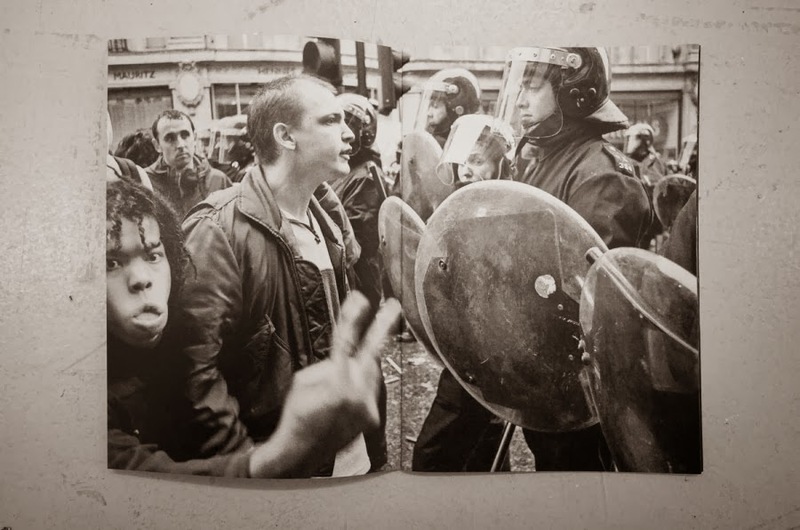 Another shows a man with a megaphone covering his face. 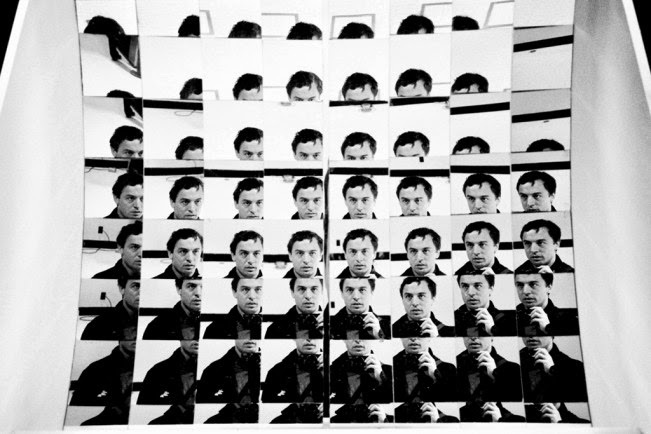 Everyone is fragmented and lost, including Fouhse who we see through a self-portrait in a wall of mirrors. Same Old Story walks that edge between dream and reality, but in a very public way. 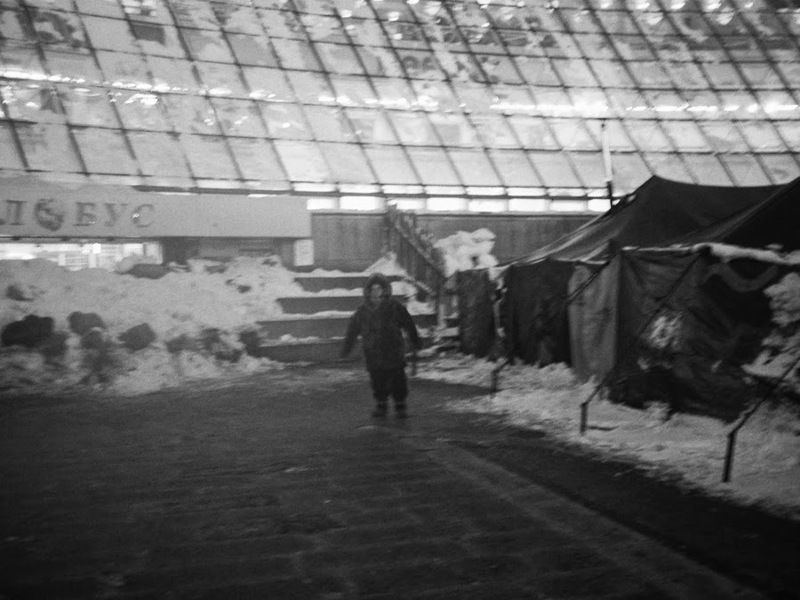 These are street photos but they are not street. They are only street in the sense that they show a flip side to a public portrayal. You get two sides of the story for the price of one in other words. Same Old Story reminds me of Harvey Benge's latest book, some things you should have told me. This is a trawl through Benge's subconscious, a narrative that is told through very direct visual links that make up for an unclassifiable surrealism. Though it's very photographic in some ways and connects to lots of new formalist still-life work, it occupies very different ground. It's almost anti-photographic and perhaps that's why it sticks. I have trouble placing the work, but somehow it keeps on coming back to me. The book ends with a broken mirror, a fragmented self. And it starts with a trail of footprints in spilt salt next to an attractive women under a black umbrella. Empty facades, a rotten banana (in a plastic banana case) and a plastic snake add to the symbolism. But then there are very literal portraits mixed with blurred landscapes. I think there is something non-photographic happening in there which takes the pictures to a different place. There are sexual references in there, both direct and indirect, but these are distant, almost unattainable. On his website, Benge says the book questions who we are and is an examination of the inevitability of change. It's also autobiographical and in that sense I'm guessing it might be a meditation on aging, on the distance and the facadism of everyday life. 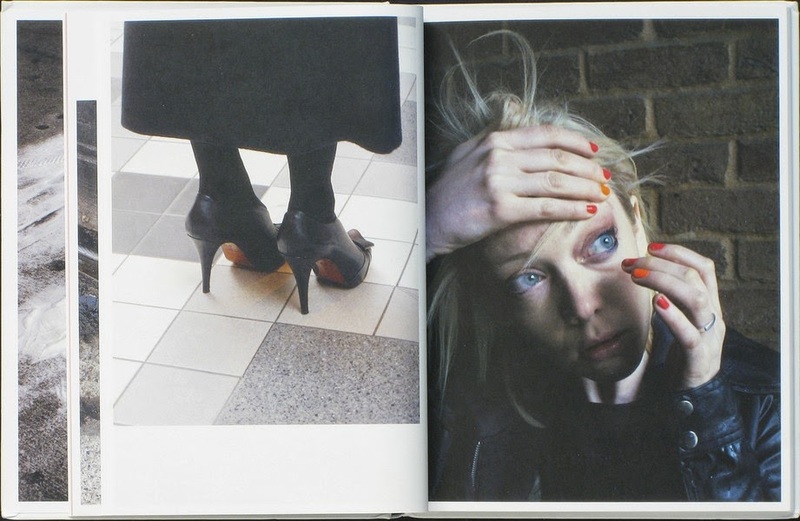 Joerg Colberg picked some things you should have told me as his book of the week on photo-eye and shared a sense of uncertainty. But still, says Colberg, it "...has everything a great photobook should have: Great pictures, a great concept, and more." I also like a quote the Benge sent to me to explain his work. Buy Harvey Benge's some things you should have told me here. 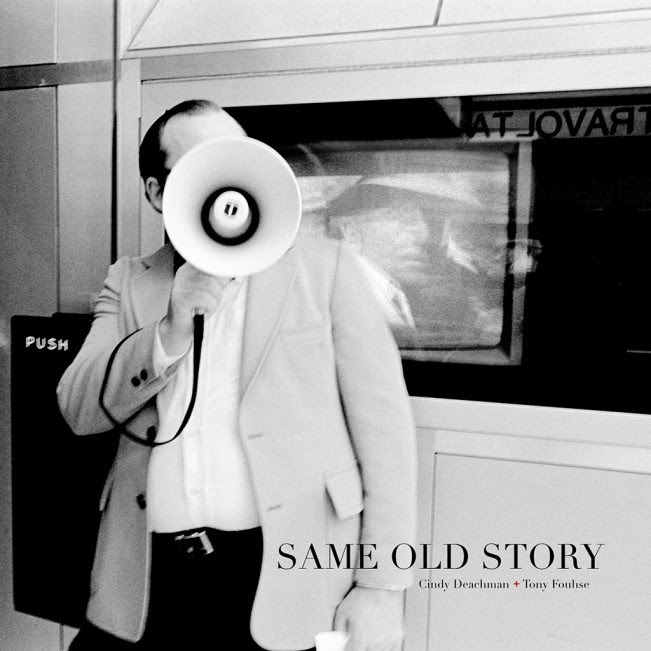 Buy Cindy Deachman/Tony Fouhse's Same Old Story here. Today's brain is one I posted a few years back. 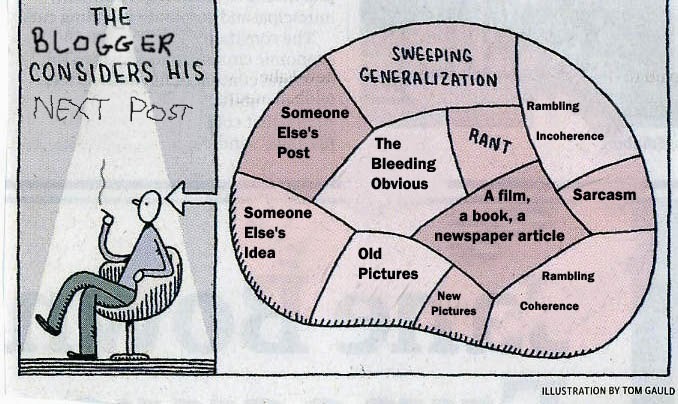 It's the Blogger's Brain. 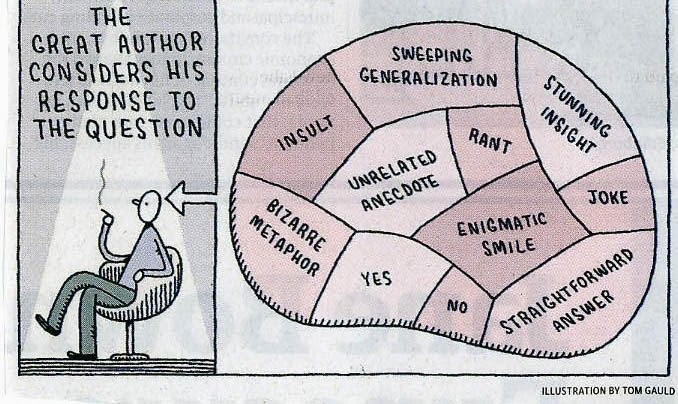 This is a shameful ripoff of the Writer's Brain by Tom Gauld. I posted yesterday on The Photographer's Brain. Brian David Stevens suggested that my version might be a more sophisticated version of this one, from Father Ted. And he'd be right. I've posted before on Father Ted, but never on its considerable contributions to photographic discourse. But anyone with a keen interest in photography who has watched all the episodes will understand its contributions to visual theory. 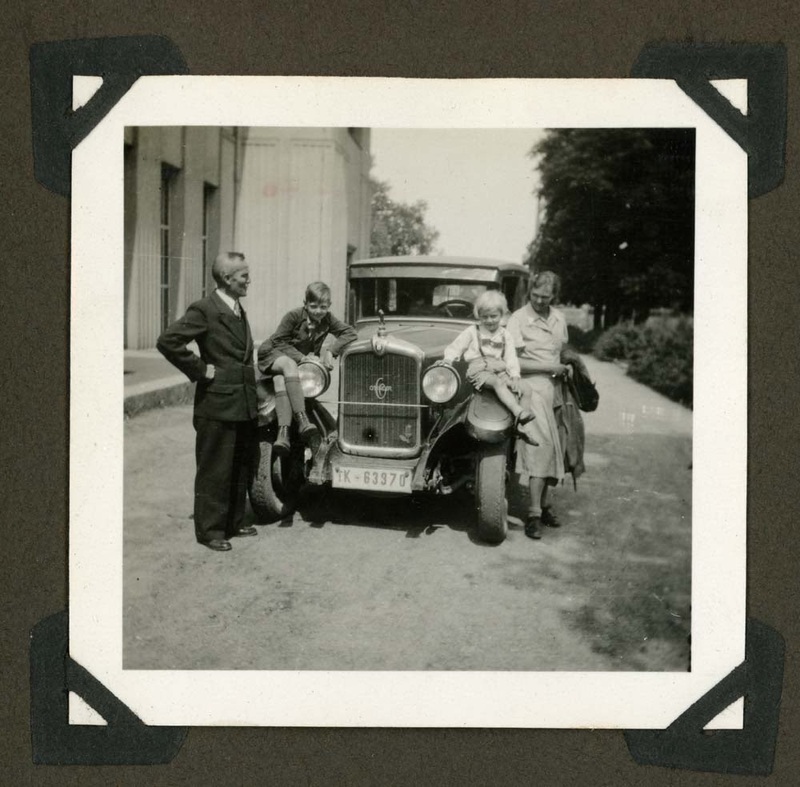 The Photograph as Evidence, Voyeurism, Eugenics and the Family Album, Dimensions, Scale and perspective are all covered. So if you ever need to understand Francis Galton, the Dusseldorf School, Trevor Paglen (this is near, that one's far away) or Enrique Metinides, Father Ted will have the answer for you.To be honest, Father Ted has the answer for pretty much everything. Dreams and Reality sometimes get confused by politicians. 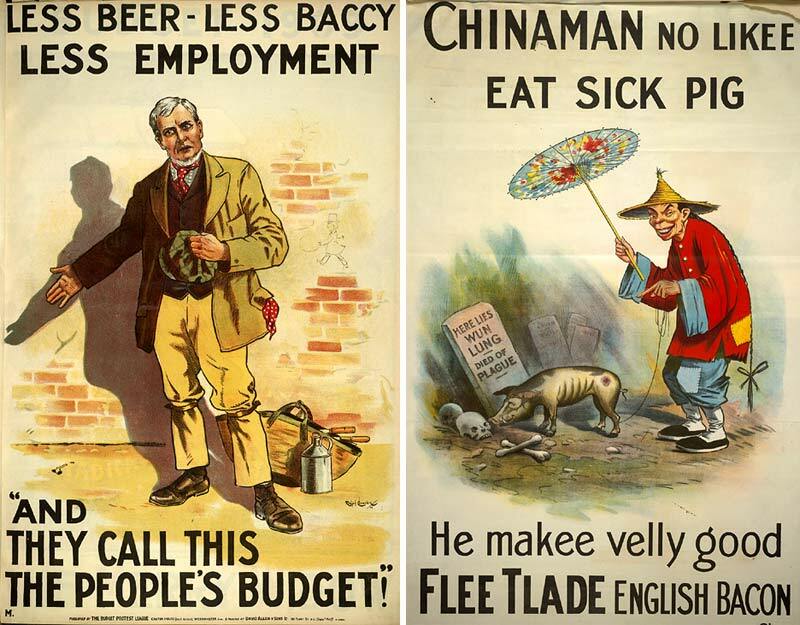 Last night, the Chairman of the British Conservative Party, Grant Shapps posted this picture. (You can read about Grant Shapps' blogging software here, and get some tips on how not to impersonate political rivals but still use your real name here. The first response of most people was to think that it was a spoof or parody. Oh, and the spoof and parodies are already coming in. Thanks to Rob Hudson for this one. 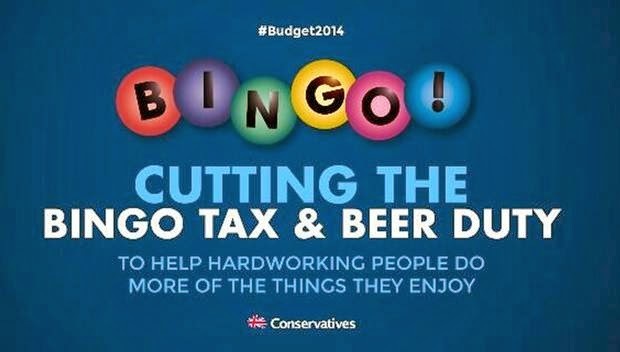 And just because it was posted by Grant Shapps doesn't mean there isn't some parody involved. Somewhere along the lines, one of the makers of this must have been rubbing their hands in glee. 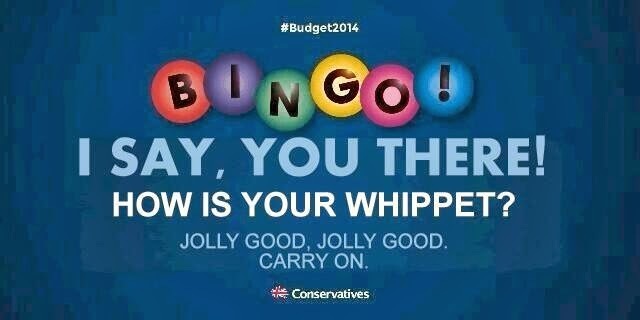 It's the bingo balls that do it. 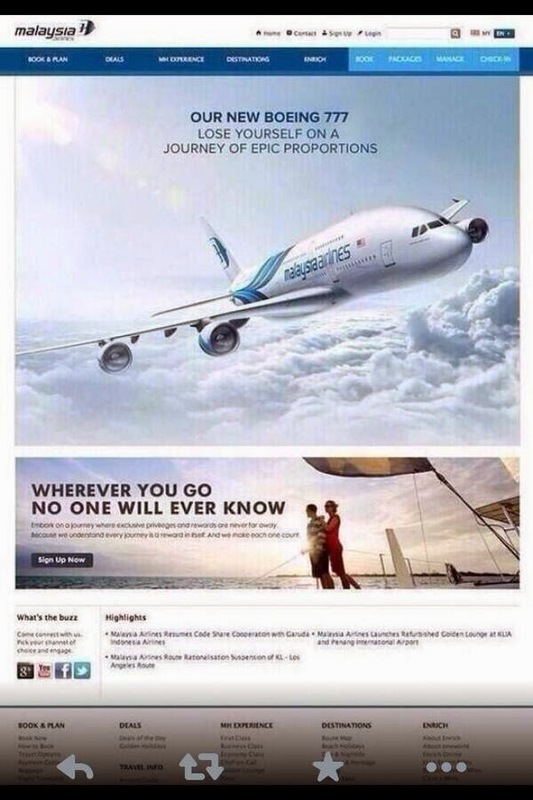 Another parody that briefly did the rounds this week was this rather cruel Malaysian Air ad. The spoof at the top was based on the bottom ad. Obviously it's the wrong plane. It's got double decks and everything. I sometimes drive past the place where the Airbus is made but sadly that doesn't give me the expertise to identify what plane is what. Especially not if I see it on Twitter. At least this one is real. 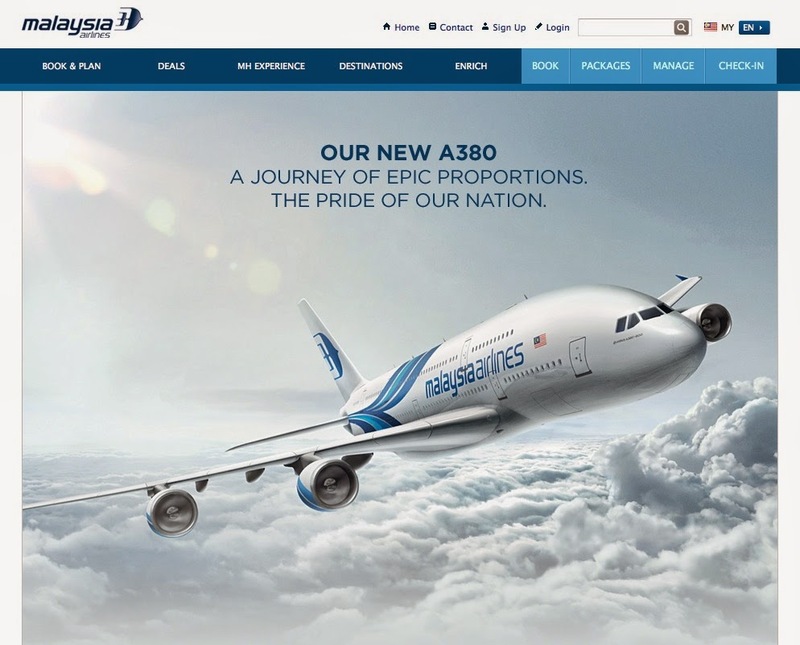 It should be Saudi Airlines, but it's not. Patrick Cockburn has been doing an interesting series on things connected to the image in this week's Independent. Read him here. So in my last post I looked at how colour brain analysis was used to modify sexuality. And as I am always looking to quicken the current on my income streams, and because photographers are a troubled bunch, I thought I would adapt this therapy to photography. Above you can see a diagram of the photographer's brain. 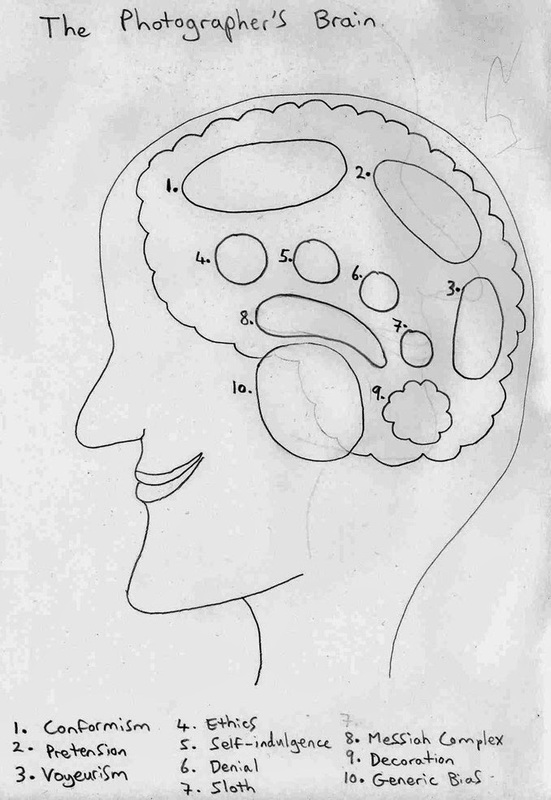 It is quite a technical drawing and shows the brain casing, the cerebellum as well as the 10 discrete elements of the Photographer's Brain such as the seats of denial, sloth and self-indulgence. In the interests of research, I have undergone self-analysis. Here is my completed brain. And here is my analysis. 1. Conformism - I have coloured this a deep blue, the colour of calm conservatism. This means I am easily swayed. If I see someone else do a picture, I am highly likely to copy it. Similarly, if everybody else likes a photographer, I'm not going to stick out like a sore thumb. Good job! 2. Pretension - Mmm, the progression from yellow into red shows ambivalence. Though I am aware that I should operate within a particular lexical framework in which understanding is confined to a small circle of people I do not do embrace this as fully as I should. Partly this is out of a fear of failure, partly it indicates a deep-seated hostility to these worlds and all those who inhabit them. I need to read more and utilise abstract concepts that add a layer of mystery and confusion to my writing. An area to work on. pretension, I can transfer these unacceptable tendencies to more palatable related areas such as surveillance and GSV for example. This will also help me to enjoy looking less and give me a taste for quieter, drabber photography. A lot more work required. 4. Ethics - this has been coloured in grey, the colour of indifference. I obviously don't feel that ethics should be a central part of photography, and that if you want to do good in the world, photography is not the obvious place to go. The red from voyeurism needs to be moved here. 5. Self-indulgence - the orange used here shows how comfortable I feel in this area. 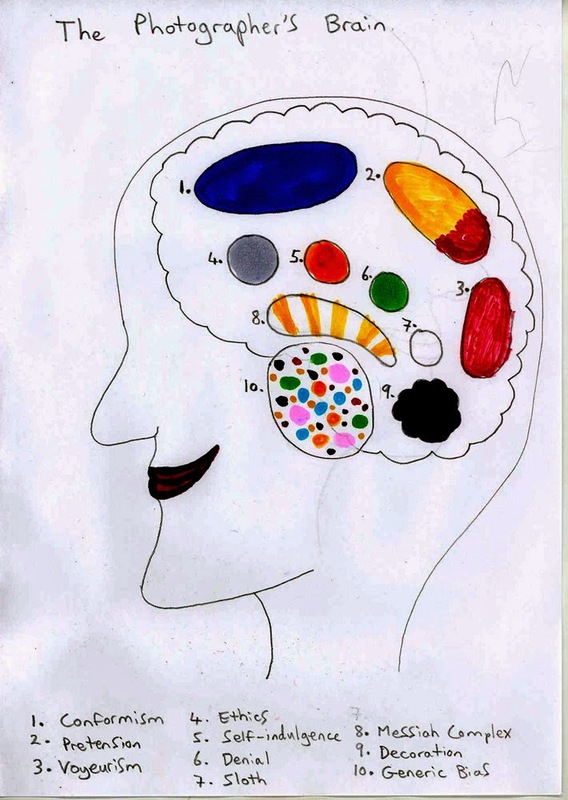 This is perhaps the most evenly coloured area of the brain. Everything is satisfactory here. 6. Denial - the solid green indicates I feel at ease in this area so I have no problems here. 7. Sloth - oh dear again. I seem to have missed this one out so it's difficult to analyse. 8. Messiah Complex - the sunburst stripes describe energy, exuberance and a dawning passion. Together with the strong self-indulgence, this is an area of strength that is open to further development. 9. Decoration - I have coloured this in purple. 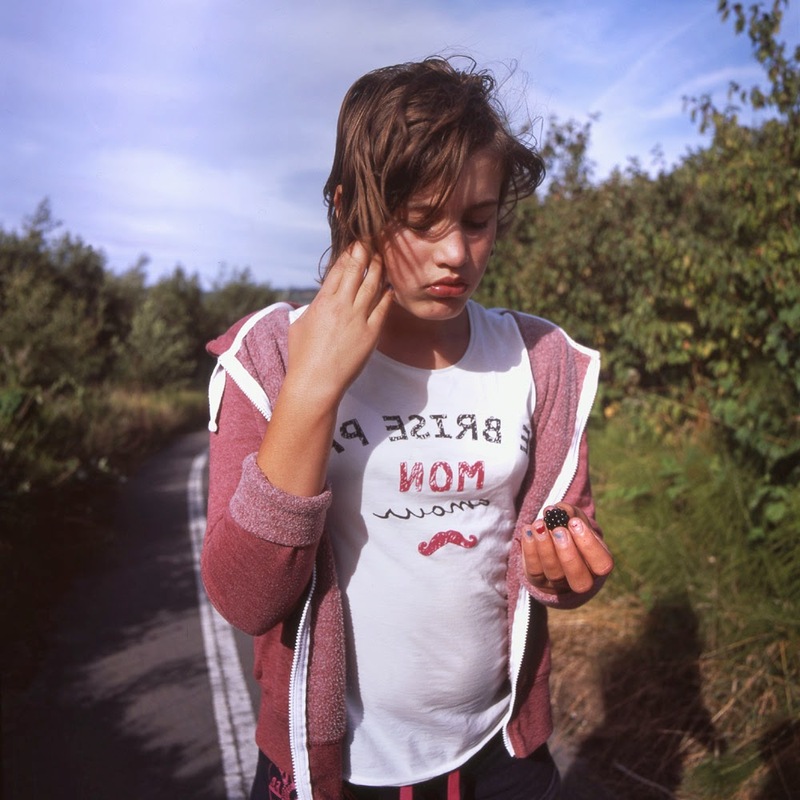 This shows a sense of mystery and an over-emphasis for colour and elaboration in photography. In images, this may take the form of being more open to pictures that are dynamic, challenging and easy on the eye. With more work on this, I will become more open to quieter pictures mentioned in the voyeurism section above. 10. Generic Bias - the multi-coloured spots in this section shows generic overlay. I am scattergun in my interests. 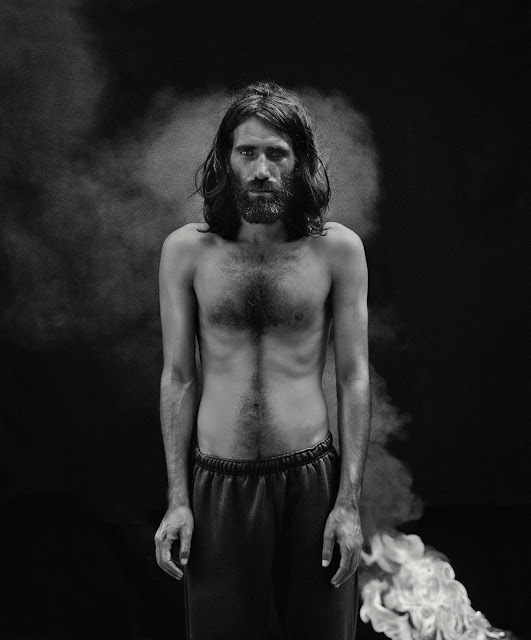 I seem to like everything; street, portraiture, conceptual and vernacular all get a look in. This is far too open and needs to be closed down. Homework: What do I think of Grey? There's a TV Programme in the UK called Embarrassing Bodies. You watch it and you see people who were too embarrassed to go to a doctor showing visually spectacular medical conditions that have gone to extremes due to denial and neglect. It's a strange programme that is a mix of the prurient and the educational. One of the presenters on Embarrassing Bodies is Dr Christian Jessen . Jessen is gay and last night, he presented a programme on how medicine and religion have used 'cures' for male homosexuality. If you're in the UK, you can watch the programme here. Jessen started out by taking a British aversion therapy that was provided on the NHS until the 1980s. It consisted of three days of drinking emetics and throwing up on the floor with pictures of gay men on the wall and a voice repeating, "Liking men isn't normal" and "you don't want to be odd, do you." Or something like that. My memory doesn't serve me that well these days. He went to the US where he found out about modifying his gay behaviour by throwing out his gay shoes, gay shirts, gay music. It probably would have continued all the way down the line to food, to walking, to hair. He tried dressing as a straight man for a while but it looked ridiculous. Another suggestive therapy included a voice intoning the lines "...you enjoy ejaculating in vaginas." That didn't work either. Strangest of all was the brain/colour 'therapist'. This was a therapist who gave Jessen a picture of a brain and told him to colour it in. The 'therapist' then analysed the colours. Oh, and the 'therapist' was colour blind. There were a few inaccuracies in the brain depicted - it had adrenal glands and a thyroid in there, but aside from that you couldn't fault the science. Jessen coloured in some parts a bit purply-pink which was a dead giveaway. He attended one session and his homework was to consider what he thought of grey. After watching Jessen, I wondered if there isn't a gap in the market for photography brain analysis. I decided there is. In my next post, I therefore take great pleasure in announcing my new Photographer's Brain Analysis Programme. 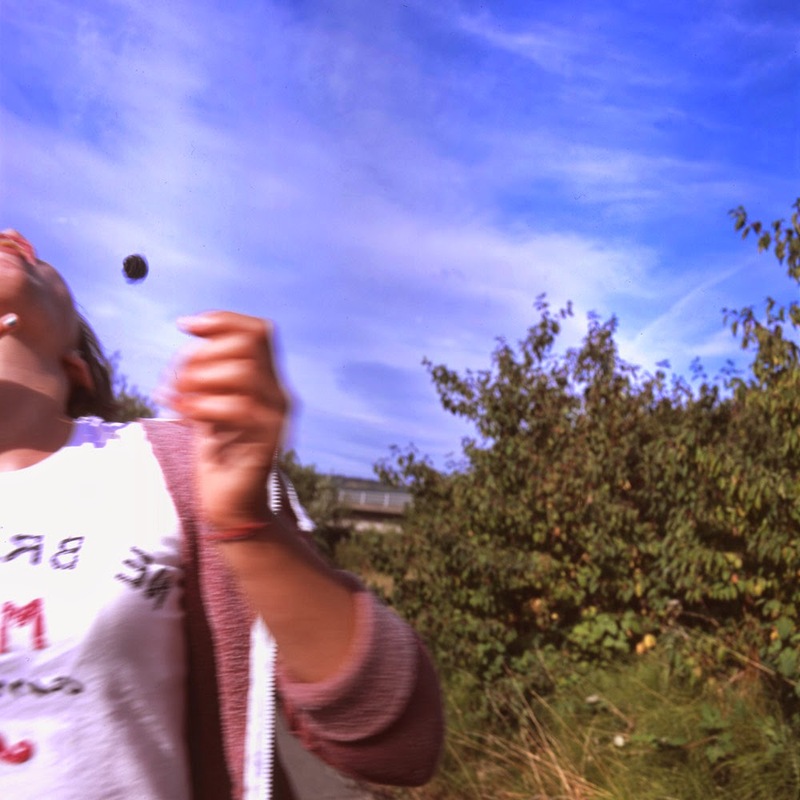 Six Attempts to Catch a Blackberry or Six Attempts to Take a Picture (but not both). It's strange how one remembers things without being aware on any conscious level of why one remembers or how one remembers. And how much we cack about it without really getting into the nitty gritty of what happens cognitively. This is especially true of photography where anything relating to memory kicks off with mumblings about Barthes' mother and the piercing effect of death. I like Barthes quite a lot, but death is more than piercing. It's deadly! It kills you! 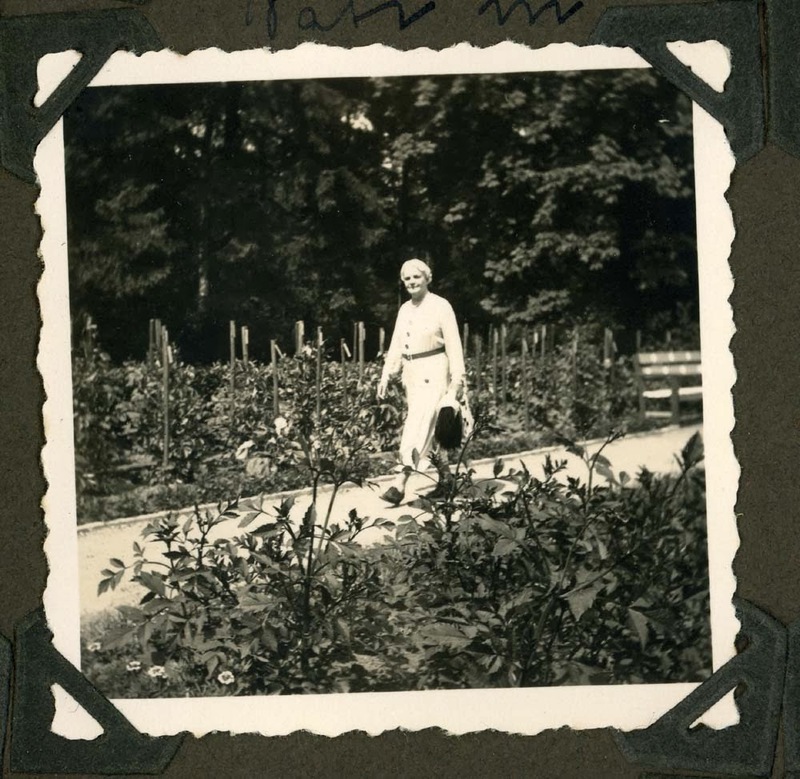 And not just Barthes' mother! It got Barthes too and you better watch out, because it's out to get you too. Perhaps it might be good to reach elsewhere for our ideas on photography, outside the small, incestuous world of photo-theory so that we can add to and enrich our understanding of how images work with added engagement and added interest. Today, cognitive and social psychology might be good places to start. 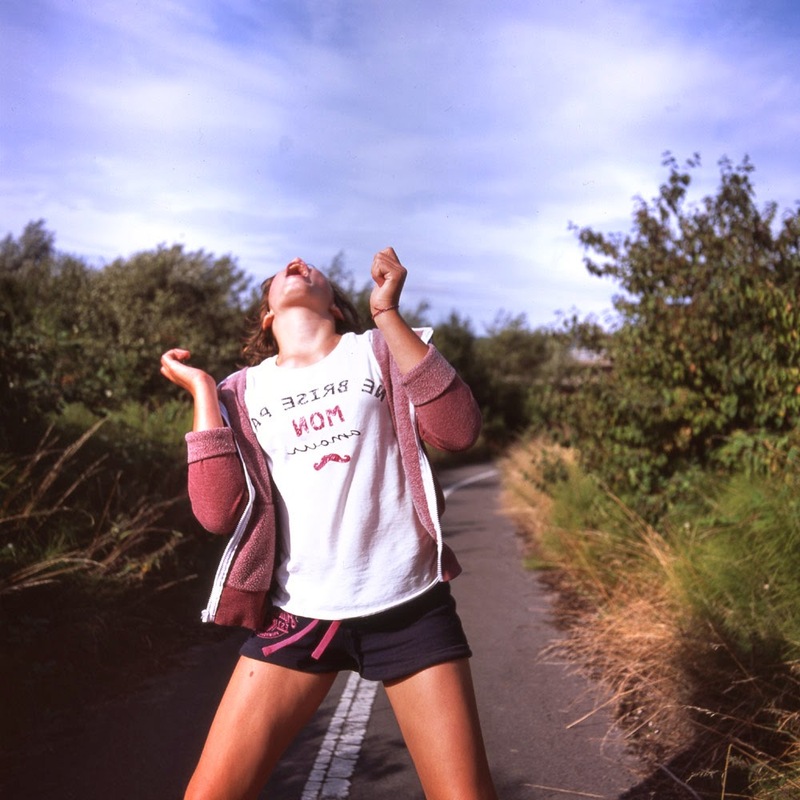 One basic cognitive idea is that of mood congruence - this means that you remember happy things when you are happy and sad things when you are sad. There's also mood dependence; this is where you are more likely to retrieve happy memories when you are happy and sad things when you are sad. Mood dependence is a basic foundation in so many branches of photography - think of the family album, travel or advertising for example. What are all those happy lifestyle pictures for if not to bring a little joyfulness and play into our otherwise miserable lives. And then you get the familiarity effect; we like things we are familiar with. So that gives us a warm and fuzzy feeling. The idea is that the more you see it, the more you like it. Even when you don't realise it. Especially when you don't realise it. Oh God, I can hear myself droning on there. See how that works. Think boring things and suddenly the whole mood infects you. And that's how photography works! I can't help but feel that there is also an element of the false memory (more of which in a different post) and wish fulfilment in there as well. The idea that when we see those happy pictures, we remember them and feel that those happy times will come again. Dogs are better than cats in stories because they run up to people and get up to mischief. The Guardian had a feature on creative writing courses this week. It came out of Hanif Kureishi's statement that creative writing courses are 'a waste of time'. That applies to photography as well. Structure is all well and good but there is something ineffable about the photography that stands out, that sticks in our heads and settles in our souls. Often the reason it settles is nothing to do with photography. It's to do with some emotional memory that is connected to history or film or psychology; a lineage that gains its power from cultural, political and artistic roots. I don't know how that can be explained adequately. I don't think it can. And I don't think it necessarily needs to be. There is still as little Great Photography about as ever there was. That's because Great Photography is emotional and does depend on accidents of Vision and Time. But there is more really good photography than ever before and, as with the writing, it requires passion, commitment and engagement with the world. And a demystification. Photography is not that complicated and the best of it is very direct, to the point and tells some kind of truth that gets under our skin. That needs demystifying. But the much of the theory of photography and the writing on photography is about mystifying photographing. It packages it up and moves it into a dessicated place for discussion and dissection. In the feature on writing. Curtis Sittenfeld said that writing should be enjoyable; 'If you don't enjoy it in some way, you probably shouldn't do it.' And the same goes for photography.Because what's the point otherwise. 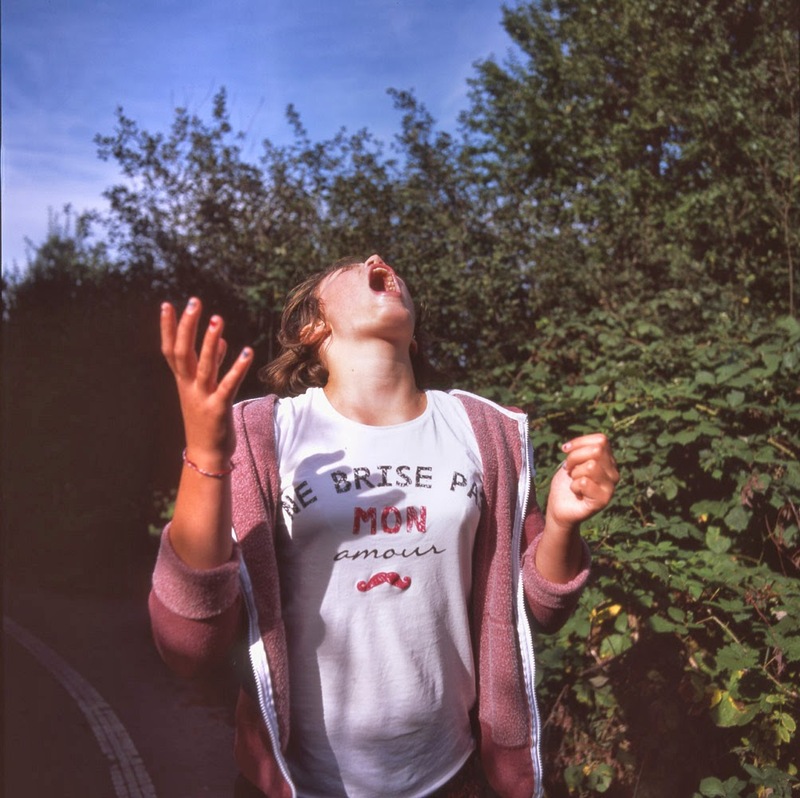 The Photoshelter Blog did a post called 14 Women Photographers you should know and, while I have a degree of sympathy for the blogger (you can't please everyone all the time especially in a blog) I have a sympathy for a number of complaints people have about the post. First of all, the post is very North American - although it has some kinds of diversity, it is not exactly global in outlook. Secondly, it is quite a strange number - 14. John Armstrong said this which I thought sums it up. 14 is a very small number and I thinks sends a signal that the number of “female photographers you should know now” is limited. In reality the number is in the hundreds. To keep things manageable you could sort them into basic groups (by age, nationality, practice or whatever) and present them in a series of articles. And/or make your qualifications clear, like born after 1970 (or 75 or 80), new and emerging/up and coming, or simply not yet widely known in the anglophonic world (if you can measure that). I am not sure about restricted lists, but as the photography business is very male-dominated and has a male centred point of view, extending the list to a global perspective adds dimensions that help us understand the world and its beauty, its cruelty and its injustice. My prime example for this is probably the film Wadjda which I posted on a few weeks ago (here, and that led to this and then this which hopefully shows exactly why a woman's perspective might be more important and truthful and just than a man's). It really broadened my perspective ( not because it was made by a woman) but because it had a core that opened up a new world of understanding for me. 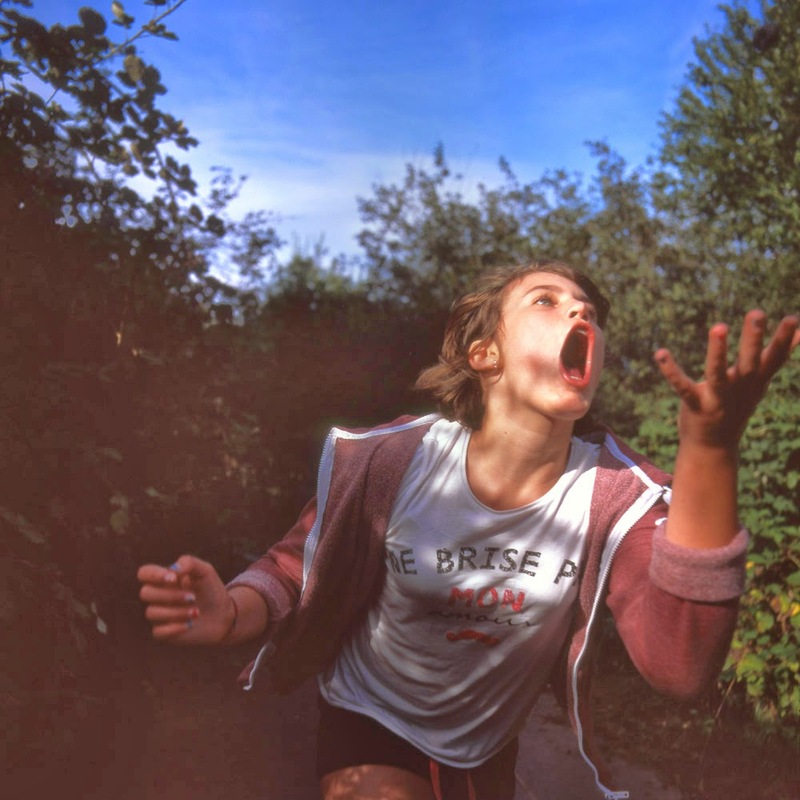 Strangely enough, I interviewed Cass Bird (who is second on the Photoshelter list) for the BJP. What I love about her work (and you can't really see it on her website) is how her personal work on gender and sexuality informs her commercial work, how she brings relationships and love into her work, how it becomes experiential and so universal. I also like the fluidity in her work - she says that rigidity is inauthentic. I like that. And having that fluidity of perspective extends to gender. I really enjoy the fact that the best-known perspectives of what it is to be a Somali woman comes from a man, Nuruddin Farah. It's not the gender, it's the sensibility, the empathy and the understanding. But he is the exception rather than the rule. So working on that spirit of love, I reached out to some people on Andy Adams' Flak Photo Network to see who the women photographers from Asia, Africa and Latin America are we could be looking at. And I was delighted to get so many answers from Hester Keijser, John Armstrong, Arturo Soto, Corina Pickering, Douglas Stockdale and Kate Wilhelm. Some of the names are ridiculously well-known, some not known at all. And it was the latter that brought me into new ways of understanding and seeing. And that is what social media is all about; sharing and discovering new ideas, new thoughts, new images and rediscovering the world in new ways. Here's a list. It's just a list and should be better organised because it's a huge mix. But I especially like Maids in Lebanon by Natalie Naccache. 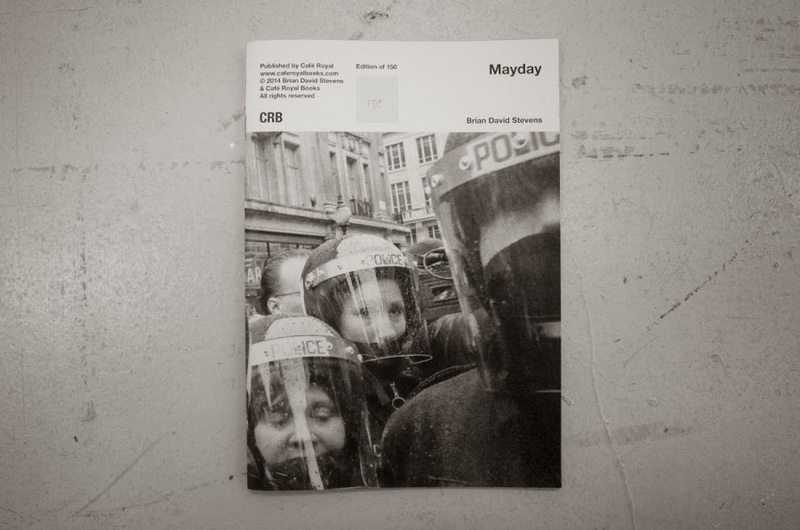 Brian David Stevens sent me his latest Cafe Royal Book, Mayday. It's black and white protest (nostalgia? Sort of) from the times when flicking the vs amounted to sheer poetry; poetry that came from the wrist - nowadays, if you're talking poetry from the wrist, you might be in more masturbatory territory; forget the 'we are all photographers now' cliche, it's more like 'We are all masturbators now'. And not in a good way, but in this kind of virtual, technological way. I really enjoy Ingrid Berthon Moine's videos. They are short, funny, punchy and very direct. They are also rather discomfitting in a good way. This one is i touch, this one is Alors, tu m'aimes? and this one is Midriff - Version 1. Back to Cafe Royal Books. These are published by Craig Atkinson who is interviewed on The Photographers' Gallery Website here. This is what he says about the books he publishes - but read the whole interview for direct and simple answers to direct and simple questions - in a good way. I get the feeling there is a rise in the direct and simple (demystifying) photo/art nerd as opposed to the (deliberately mystifying) precious and pretentious photo/art-nerd. That's the way I like it. It's not masturbatory. 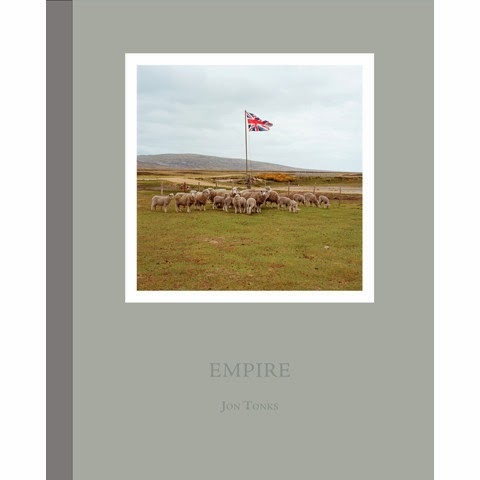 On Thursday evening, Jon Tonks is talking (I'm introducing him) at another Bristol Photobooks event about his new book, Empire. Empire is a trawl across some of the smaller 'British' islands of the South Atlantic - St Helena, Ascension Island, Tristan da Cunha and the Falkland Islands. It's a lovely book where history is embedded in the faces and lives of the people that Tonks photographs. The ancestors of the current inhabitants of the islands are the flotsam of 200 years of history; former slaves, adventurers, colonists and fortune hunters who, at some vital juncture in their lives, took a turning to the ultimate geographical dead ends of the Atlantic Ocean. Empire is one of those books that tells you something about the impact location and topography has on people. It's a book that goes beyond photography. Perhaps that's why the edition of 1,000 books is very almost sold out after only two months on the market. It will sell out very shortly and after that the value will go up. There probably won't be a second edition because Jon is too busy working on another island project (different ocean, different themes) that will have anthropology as a conceptual hook. So if you want a copy of Empire, get one now from here or here or other reputed booksellers. And if you want to make a few quid, get 10 of them now. I could do with making a few quid so I'm wondering if I should buy 10 of them. Get the 10 for £30 each and then sell them off at the end of the year for £100 each and make £70 profit on each and then I could afford a large format camera or a 100x or, more realistically, money to clear the blocked drains at the back of the house. I honestly don't think there's anything wrong with that but I just couldn't be bothered to buy ten of them. That's a dealer mentality and I'm not really a dealer. I'm not a businessman. I'm not good at making money. I live in Bath in England. If you are familiar with Bath, you will realise it is a pretty little bubble of a place, a fantasy island with badgers, alpacas and sheep. If I walk round the back of my house (the one with the blocked drains) you end up on Charlcombe Lane - that's the lane with a little plaque quoting Jane Austen; "We took a walk to Charlcombe sweetly situated in a little green valley." Charlcombe Lane is currently closed to traffic due to the annual toad migration which is odd and wonderful in equal measure. But also a little precious? Yes, sometimes. There are a couple of great independent bookshops in Bath. Best of all is Mr B's Book Emporium. You go in there with money and you come out without any because the recommendations are so enthusiastic and spot-on. The other one is Toppings. This is also a lovely bookshop which sells lovely books, the signed ones are hand-wrapped in acetate which is definitely added value. You get home and you know your book will always be in pristine conditon. But when you read it, it will feel plasticky and slippy. You don't get to grip it like you do an unwrapped book. It will look nice on the shelf but not to touch or hold or read. Maybe it's the same with photobooks. They do feel nice when they are well-made and consideration is paid to materials. They are tactile things. Touching is part of the experience. But that wrecks the book. It makes it grubby and spoilt. So does lending the book out or passing them round or letting somebody else see them. So does transporting them or taking them outside a dust-free humidity controlled environment free from damp and mould spores. But dealers, collectors, buyers, writers, freeloaders and viewers are all different beasts even if there is some overlap a lot of the time. We don't all have to look at books in the same way. I feel that I should be buying my 10 copies of Empire, but I won't because I'm too lazy and I don't have a dealer mentality. I actually wish I did, but unfortunately I undersell anything I have to offer. That is a bad thing for dealers for whom the creation of desire and need is a good thing. And I really do feel that I should be wrapping my books in acetate, but I won't simply because I'm too lazy and stubborn. Anyway, for the final word on the issue, and with the third volume of the Photobook History about to hit the stores, this is what Blake Andrews has to say on the subject in his 5 Tips for Photobook Collectors. 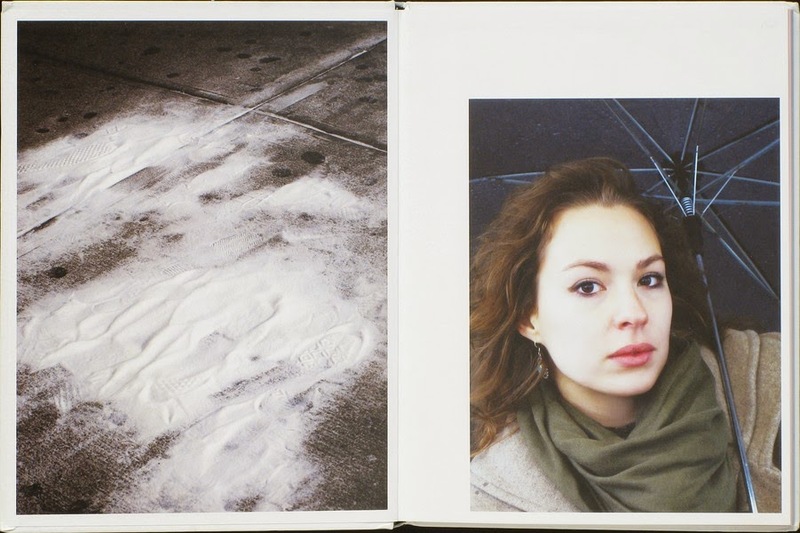 As many have commented, we live in a golden age of photobooks. All around they're blossoming like wildflowers. It seems every day another one is being popped out somewhere or other. I can hardly keep track. Not only are these photobooks a joy to behold but, as Adam Dewar recently pointed out in The Guardian, they can be a very good investment. To take just one example from Dewar's essay, a copy of Bruce Davidson's Subway bought for £40 in 2003 is worth more than £200 today. That's a 400% return in 8 years, easily beating the S&P 500 which gained only 30% over the same period. I've been collecting photobooks for a while. I think I have a pretty good sense of the market. I know which books have staying power and which don't, and what separates the gems from the common schlock. What follows are a few brief tips I've compiled for the savvy book collector written from an investment perspective. 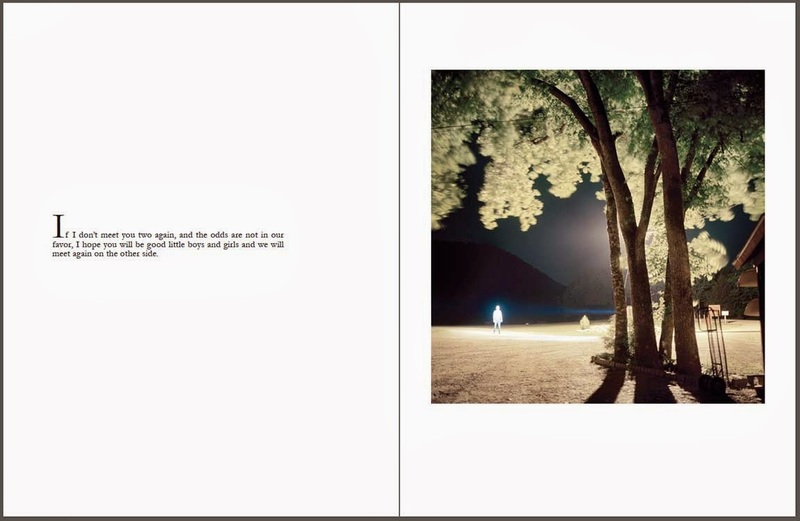 And here are his 5 Tips on Photobook Collecting. You may need to read the post/comments in full to get the complete sentiment of Blake's thoughts. I certainly did and I'm still not entirely sure where he's coming from. It's great advice? I don't know if photographs should make you act, but they should stir something. 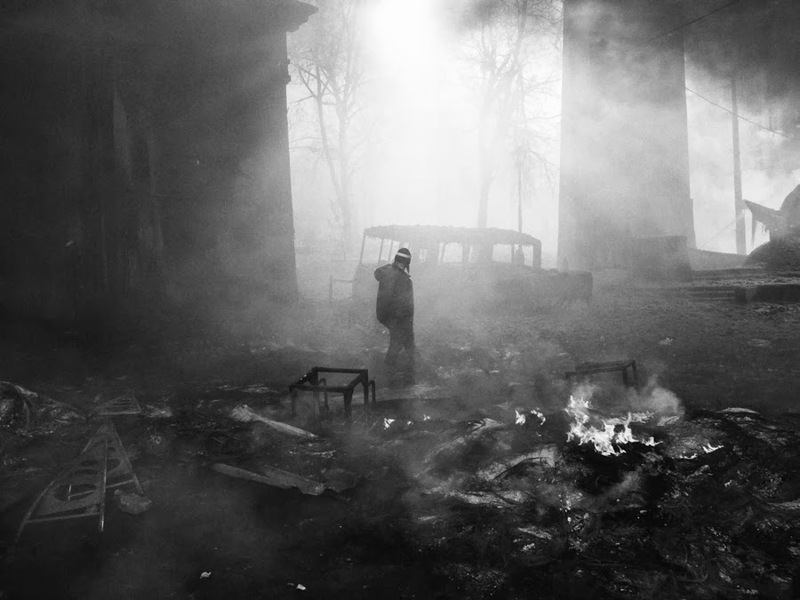 A lot of the recent pictures from Kiev did just that, but at times it was just too spectacular; the smoke and the ash and the shields were too reminiscent of a volcano going off. 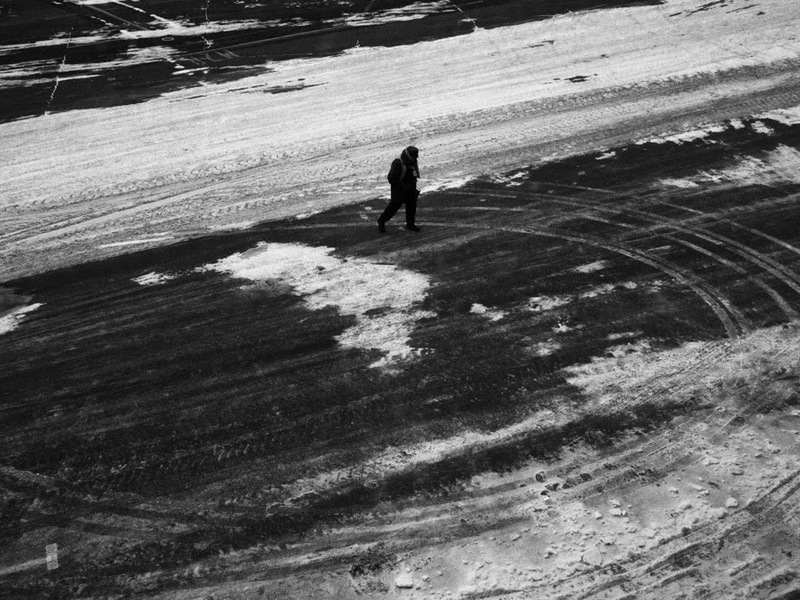 They were distant and cold. 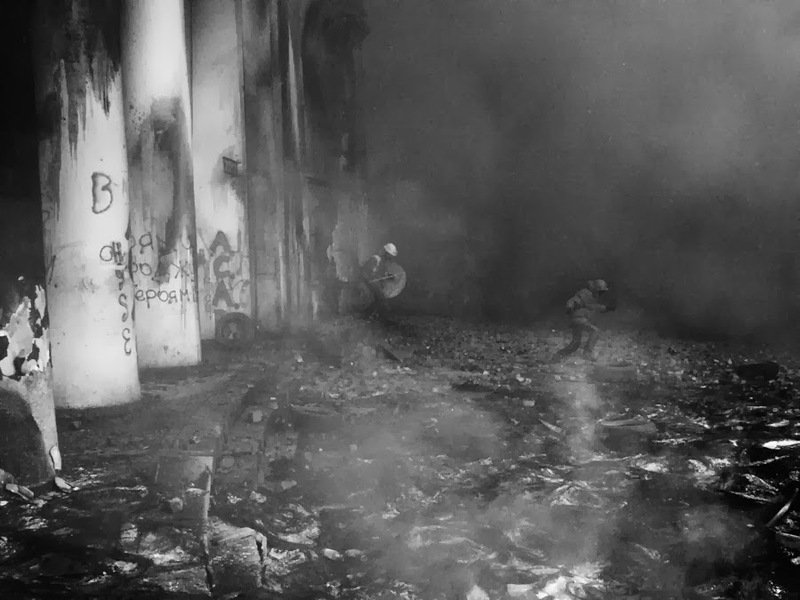 The massacre of protestors (and there's a little undercurrent of propaganda going on there. Always remember that Stalin allied himself with the Nazis. No getting away from that once you get down to Nazi name-calling) changed all that. 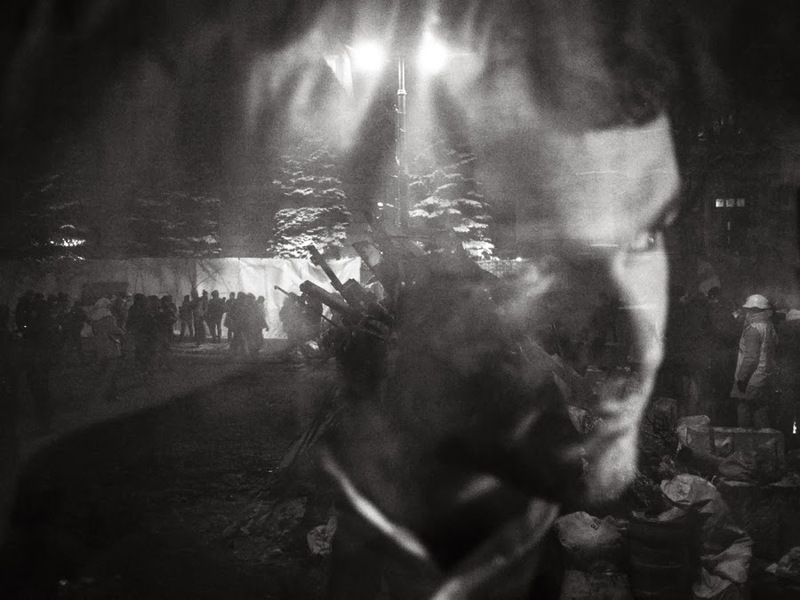 There has been smart photography on Ukraine by Anastasia Taylor-Lind and Donald Weber among others, but I also like Paolo Ciregia's take on events. 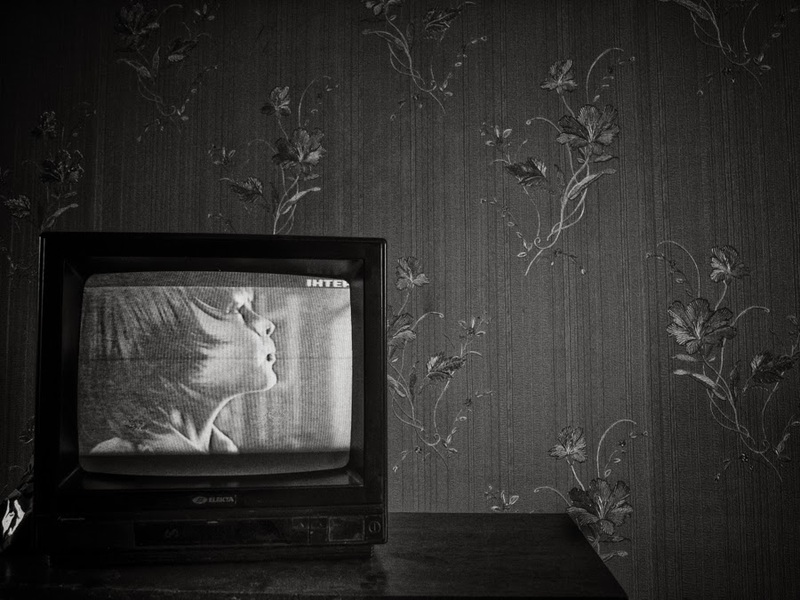 He's a young Italian photographer who is still in Ukraine somewhere, but his pictures have a poetic ebb and flow to them that realises something of the spiritual depth of emotion involved in events. With his focus on isolated individuals (and this selection accentuates that) there seems to be a kind of determined calm in the maelstrom of events. I read this article in the Guardian by Jonathan Jones and got rather confused. This is the headline. Well, there are a number of assumptions being made here; that photographs do make us act, that if they don't make us act they are somehow culpable, and that by not making us act they become flippant additions to our conscience. I think Jones is rather mistaken on all these things. He's placing the weight of the world on photography and photographers. Photography is about more than just making us act. Images such as the one featured above involve news, reaction, evidence, emotion, history, empathy and a sense of humanity. It ties into a historical geology of images in which similar scenes are remembered/imagined or relived. Does it make us act? Not really? But why would you weigh photography down with that responsibility. Why not put that weight on the written word? 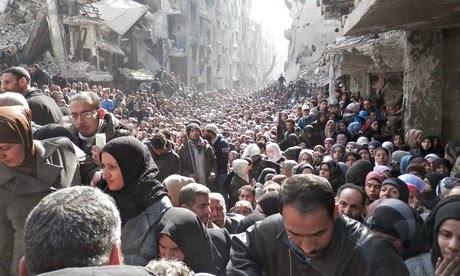 Has the Guardian made us act on Syria? Has Jonathan Jones made us act on Syria? Has anything made us act on Syria and if it did what would that action be? Is anything so black and white that it can be solved by a two dimensional print of 1/125th of a second, however finely composed or filled with evocative faces? It seems odd that Jones, who is a writer, should be placing that weight on photography when it is clearly the responsibility of writers and newspapers to make us act. They have a great heritage in the UK of doing so. Think of Harold Evans and the thalidomide campaign. Think of the Daily Mail and all it has done to engender hostility to minorities in the UK - acting isn't necessarily a good thing. own. it doesn't act, it doesn't perform, it doesn't do anything. sympathy, pity or indifference. Maybe pictures do that sometimes? Maybe? 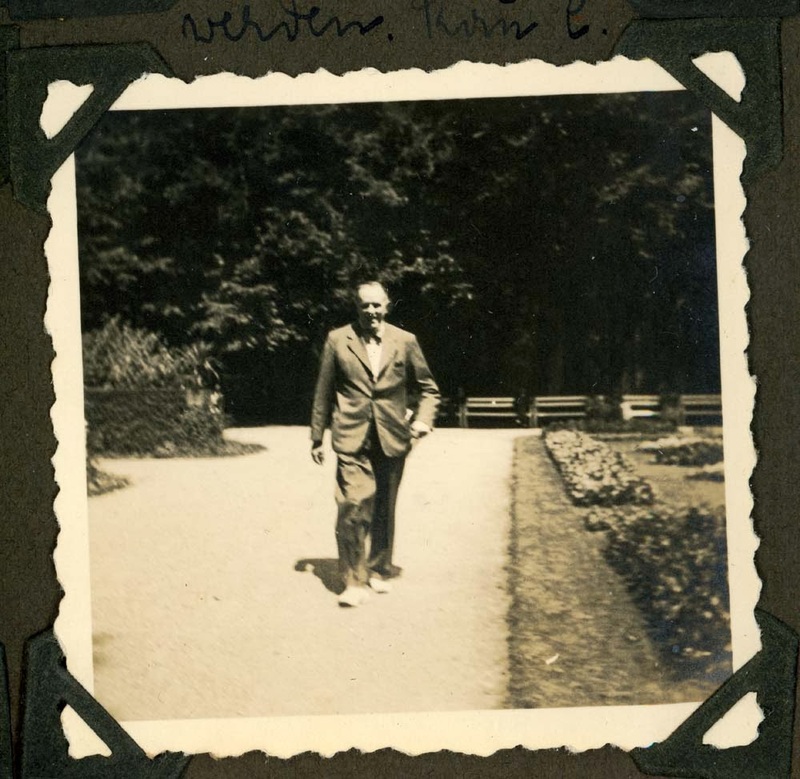 My final offering from my German family album for a while. By the end picture, Kristalnacht and the Anschluss have replaced the Berlin Olympics in the living memory.